Our mission is to raise awareness for drowning prevention. Proceeds will be used to provide survival swim lesson scholarships to those who can’t afford them. Show your support for Live Like Jake! 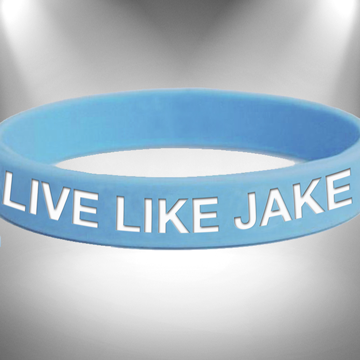 The Live Like Jake™ bracelets are light blue in color and are available in toddler, youth and adult sizes for $5 each.